LOS ANGELES [SEPT. 18 2008] Pink Banana Media, founded by President Matthew Skallerud, has just released its 2009 Gay Market Report, a comprehensive report detailing various opportunities and media sources for companies that wish to target the gay & lesbian community. The 146-page report contains a summary of opportunities available to businesses, including web site links for those they wish to get in contact with. 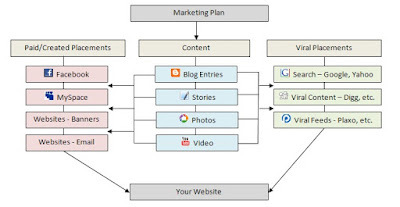 For media outlets that have chosen to participate by including their information in the guide, readers will find a more precise breakdown of information, including contact details that will allow readers to make better informed decisions as to which sources will best serve their marketing needs. Every year, the book is updated accordingly with the most current information and will continue to grow along with the gay & lesbian media marketplace. This report, currently the most comprehensive and complete snapshot of the GLBT marketplace, covers all aspects of the GLBT community including print publications, events, Internet sites, blogs and social networking sites, says Skallerud, a leading business expert for 15 years. The biggest changes over the past few years have been the importance and increasing relevance of GLBT blogs and the worlds of Social Networking and Web 2.0 in the lives of GLBT consumers around the world. With large corporations and small businesses finally acknowledging the considerable buying power of the gay community ($712 billion in 2008, according to Witeck-Combs Communications), Pink Banana Media was founded with the mission to help them market their services directly to this powerful segment of the population through methods such as social networking, marketing and advertising, and by utilizing web sites such as Myspace, Facebook, YouTube, Flickr, IGoUGo, TripAdvisor and blog creation. Pink Banana Media has already worked with such major clients as NYC & Company (New York City's tourism department), Rivendell Media, Connexion.org, Interactive Male, Community Marketing, GLBTMovers.com, and the Las Vegas Gay Days and Nights event, among others. 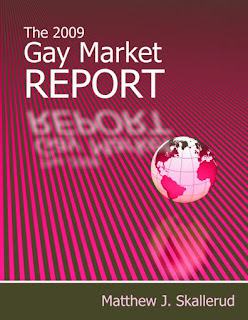 For more information, or to purchase a copy of the 2009 Gay Market Report, please visit the official web site at www.pinkbananamedia.com or call (323) 908-3653. Matthew Skallerud, President of Pink Banana Media, began his career in the gay & lesbian marketplace when he founded GayWired.com in May of 1995. He successfully led GayWired.com into one of the premiere and dominant gay websites worldwide, translating that success to LesbiaNation.com and QTMagazine.com. In 2001, he expanded this online reach by launching a company focused on both developing niche-oriented websites for the gay & lesbian community and helping companies large and small reach these gay & lesbian consumers through this expanded network of websites, which included GayMonkey.com, GaySports.com, Navigaytion.com, PrideParenting.com and GayBusinessWorld.com, just to name a few. Having sold these sites, his focus is now on the latest in advertising and marketing utilizing social networks and tailoring their opportunities to the GLBT community.